Beauty sleep means so much more when you have a night moisturiser in your beauty arsenal. These moisturisers work the night shift to rehydrate your skin and fight signs of aging. Night moisturisers help stimulate collagen production, promote cell renewal, remove dead skin cells, and smooth out fine lines, tone, texture, hyperpigmentation, and wrinkles. The Ordinary’s The No Brainer Set is a proven favourite among Adore Beauty clients for its anti-aging and skin softening properties. 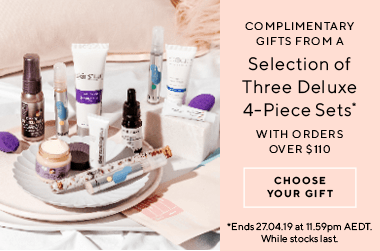 This set combines three of The Ordinary’s most popular formulas to tackle dehydration, dullness, uneven texture, and the appearance of fine lines and wrinkles. The Ella Baché Crème Royale is another crowd favourite, thanks to its vitamin- and antioxidant-rich formula. It contains lanolin to protect the skin’s natural barrier, wheat germ oil to lock in hydration and improve the look of aging skin, and beeswax to naturally soften and smooth the complexion. Apply a night moisturiser as the final step in your nightly routine and finish with a sunscreen in the morning to prevent further damage. Enjoy youthful, luminous skin with this overnight miracle. Shop our range of night moisturisers at Adore Beauty and pay later with Afterpay today. Showing 20 products of 181. I was very fortunate to receive a free sample with my last order and I have really enjoyed testing this out, the sachet lasted 3 nights and I am definitely impressed with the lovely smooth and hydrated feeling my skin has in the morning, not the usual tight and dry areas for my mid-40s skin. I am definitely going to invest in a full size bottle to gain the benefits of prolonged usage!